We had noticed On Lee Noodle Shop on our way to the museum only because of the number of people queuing outside the eatery at (the awkward post-lunch pre-dinner hour of) 4pm. By the time we left the museum, we were craving ramen but decided to give On Lee Noodle Shop a try since the queue was gone. Best decision ever, even if I had passed up on beef brisket the eatery is known for. 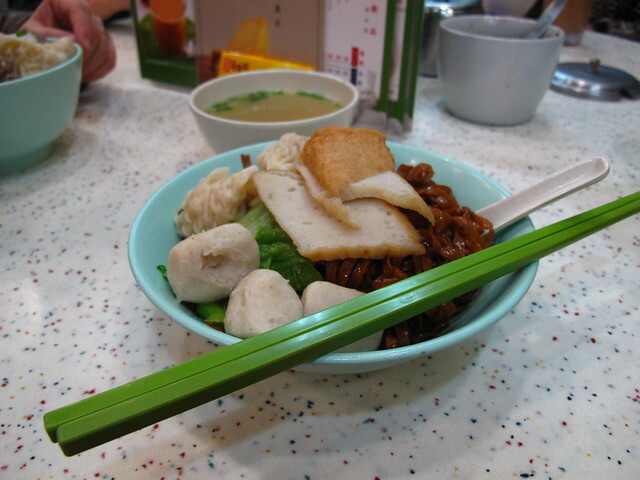 This is probably the closest to fishball mee pok tah in Hong Kong. Gonna have to bring mom here the next time she is in town for her expert verdict. I’ll most definitely be back soon. Wee Ling – i’m in town this weekend. Going out out to Tai Po for handmade noodles with pork lard. Terence – What ! Yum. Let’s meet up for food/drinks if you have time ? @WL – Sure! How about Goldfinch? 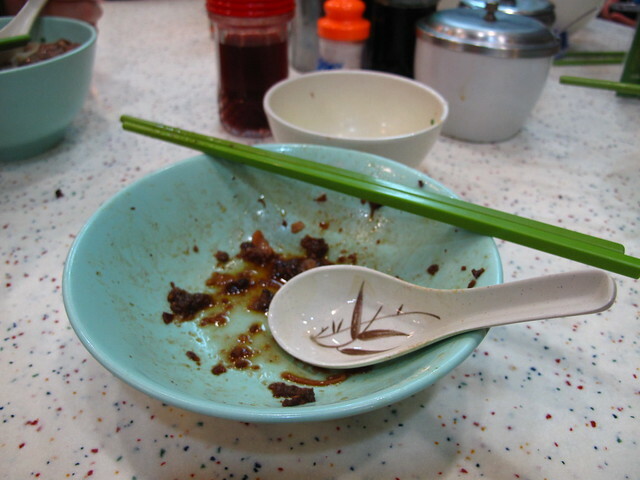 Or if you’re game, I was going to go all the way out to Tai Po to go to both Ping Kee Noodles and Yat Lok BBQ. Terence – Sounds good, have dropped you an email.